Unbiased siding companies will agree that vinyl rules the industry. Its biggest claim to fame is its affordability, costing only between $2 and $10 per square foot, including installation. The best part is that it’s incredibly durable for its economical price. Vinyl siding panels can stand up to violent, hurricane-force winds, resist hail damage and endure moisture. Designed with built-in insulation, it reinforces your home’s envelope to effectively reduce heat transfer. When it comes to aesthetics, vinyl comes with a bevy of colors to round out any home-exterior palette. Its hues penetrate the material, eliminating the need for regular scraping and painting. In case of damage, Woodbridge Home Exteriors has proven that it’s easy to repair. Siding and window replacement experts consider genuine timber as perhaps the all-time favorite, but it’s susceptible to decay by nature. Wood is charming with or without paint when in good condition, but everything that makes it attractive and reliable diminishes with rot. This material is gaining steam because of its striking resemblance to wood and minimal maintenance requirements. It weathers like masonry, doesn’t burst into flames and can’t be destroyed by termites. Its flaw, though, is its vulnerability to water. It can suffer from moisture-related issues, which can compromise its structural integrity sooner than expected. As with replacement windows, many popular siding products are made from aluminum. They’re budget-friendly, painless to clean and deal with humidity well. This metal can be a sound investment, but the catch is that it’s loud when the temperature fluctuates. If it’s industrial appearance doesn’t bother you, its likelihood to dent or scratch might deter you. 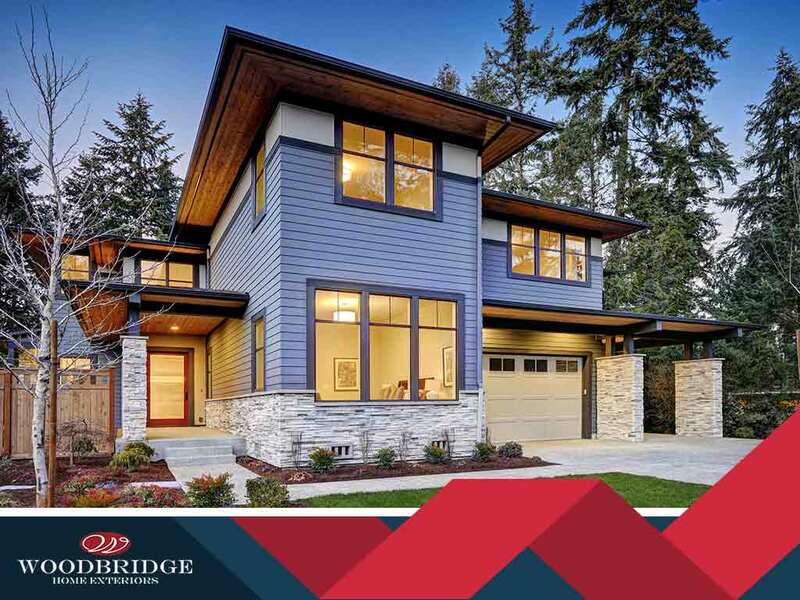 Woodbridge Home Exteriors sides with vinyl because it’s nearest to perfection. Call us at (972) 217-7585 now to discuss your siding replacement needs and get your no-obligation, free estimate in Levelland, Waco, or Arlington, TX.